Corporate movers provide a valuable service for a company that is preparing to relocate, whether it is moving across town or across the country. In the Columbia, South Carolina, area, the experienced professionals at Relocation Strategies Charlotte (RSI Charlotte) are the smart choice for all of your company’s office moving needs. We provide comprehensive office relocation services that are designed to take the stress off your employees and reduce the amount of productivity that is lost during a transition. Our services start with a move assessment or more in-depth feasibility study to help you create a budget and identify a new office space that meets your company’s needs. We also handle the creation of all construction documents, and can assist with the procurement or liquidation of office furniture and equipment. 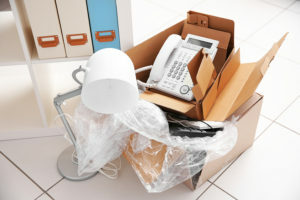 After your moving day is complete, our final role as your corporate movers is to oversee any construction, painting, or other services needed at your former office space so the keys can be turned back over to the landlord. Contact Relocation Strategies Charlotte today to learn why businesses in Columbia, SC, and throughout the region, turn to us when they need corporate movers they can rely on.